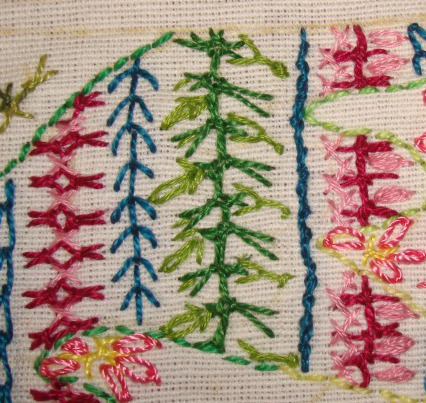 Other TAST stitches were worked on this design. Detached chain petals. 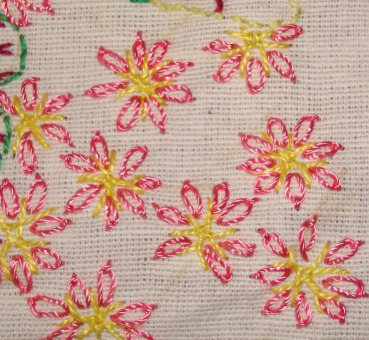 Pink-Alternated up and down buttonhole, buttonhole stitch, herringbone stitch. 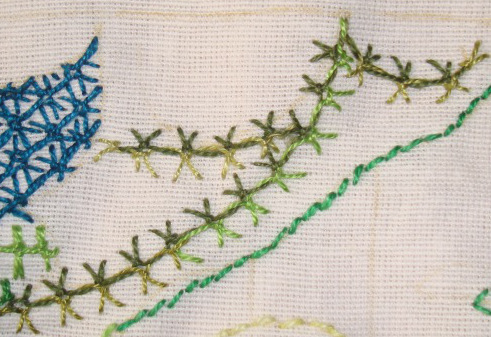 Green- long tailed detached chains and french knots. The paisley is outlined with whipped back stitch in two colours. 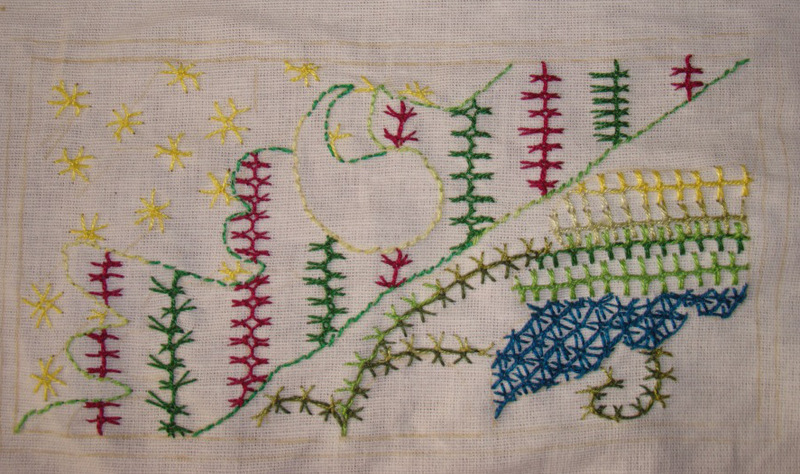 I am still in the learning process of designing to work these TAST stitches. It is tough and interesting. Sometimes the satisfaction is there, but other times not so much. 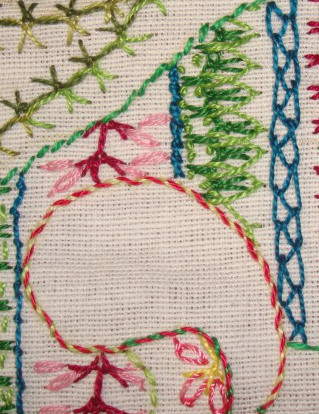 But the idea of developing each every aspect of the design with stitches lifts me up. 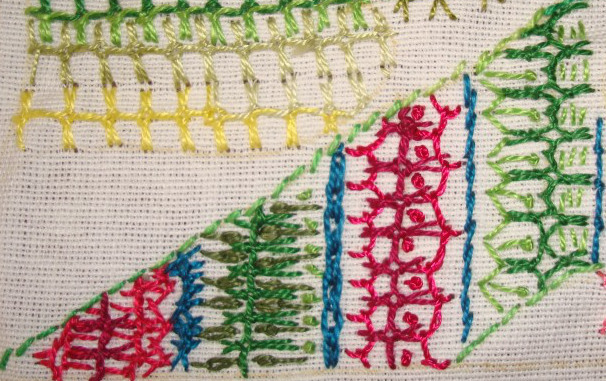 The working of this interesting stitch is on SharonB’s Pintangle. 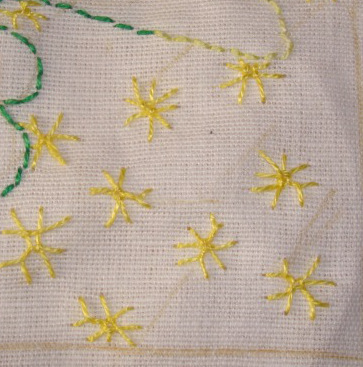 The stitch worked as filling. 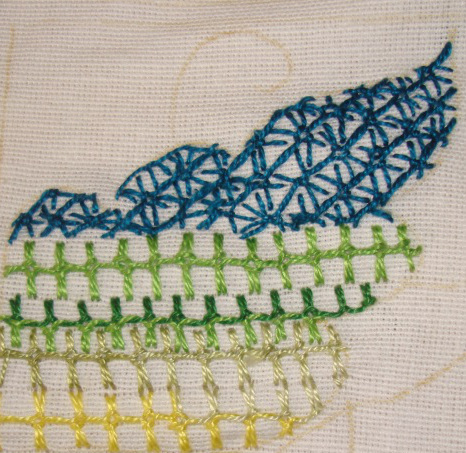 Other linear and isolated TAST stitches need to worked to fill in the gaps. The flowers will blossom with detached chains. the paisley is also there.